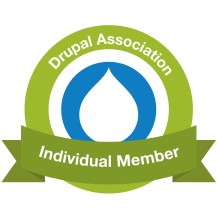 Want to learn the Drupal 8 APIs? Below are some tutorials structured around Drupal 8 API's own reference. They're intended to help developers who know a little PHP, and a little best practice, get up to speed very quickly indeed with Drupal. If you start with the essential background concepts, then later tutorials should tell you at a glance what pre-requisites you're going to need. What is a machine name?